Last night, the One Music PH team was invited to an advanced screening of the 20th Century Fox production of “Bohemian Rhapsody,” a biopic that tells the story of how Freddie Mercury and his fellow band members Brian May, Roger Taylor, and John Deacon formed Queen – one of the most iconic rock bands in history. The film follows the band as they produce hit after hit, topping the charts while constantly evolving their sound. 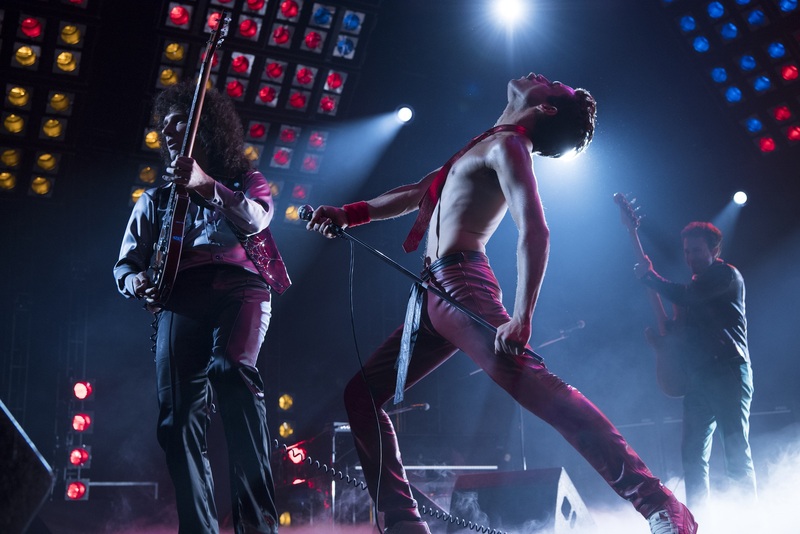 Through disparate songs like "Killer Queen," "Bohemian Rhapsody," "We Are the Champions," We Will Rock You" and countless others, the film shows how the band reaches unparalleled success, and how Freddie becomes one of the most beloved entertainers on the planet. To say that the film is superb would be an understatement. For one, the actors that were cast as Freddie Mercury (Rami Malek), Brian May (Gwilym Lee), Roger Taylor (Ben Hardy), John Deacon (Joseph Mazello), and Mary Austin (Lucy Boynton) were so spot-on that one would forget that they were watching a movie in the first place; the likeness in their movements, their mannerisms, their facial expressions—their whole transformation—would make you believe that they were no longer actors in a film, but that they were the actual people. What is truly impressive is how the film celebrates the artistry and the authenticity of Queen’s music, showing the band’s struggles and triumphs through their journey from singing at small pubs to selling out stadiums all around the world. It’s like watching the greatest Queen medley come to life, theatrics and all. From beginning to end, viewers will experience a myriad of emotions and will come to find exactly why Queen continues to inspire generations of music lovers, misfits, and dreamers up to this day. If there is proper way to pay homage to a legend, “Bohemian Rhapsody” is the perfect example. Brought to you by 20th Century Fox, “Bohemian Rhapsody” premieres on October 31st in theaters nationwide. Who’s excited to see Bohemian Rhapsody in theaters? Comment below!